New evidence has surfaced to suggest that the April 4 chemical attack in Syria’s rebel-held Khan Sheikhun was the work of the Syrian government. French intelligence services have released a claim that they have scientific evidence that links the chemical weapons attack that killed 88 people, to the Assad regime. Jean-Marc Ayrault, France’s foreign minister, told journalists that the presence of hexamine, a substance used to stabilize sarin, was found present in “environmental samples” taken from Khan Sheikhun, that were compared to an unexploded ordnance from the site of the Syrian chemical attack that occurred in 2013. 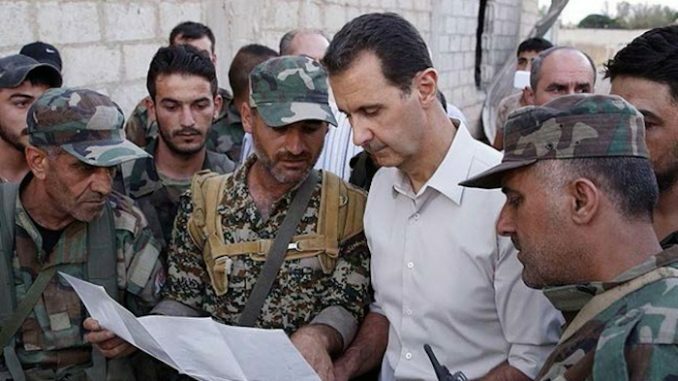 The circumstantial evidence is based on the production methods used by the Assad regime prior to the Syrian army relinquishing its chemical weapons after an agreement was reached with international monitors in 2013. 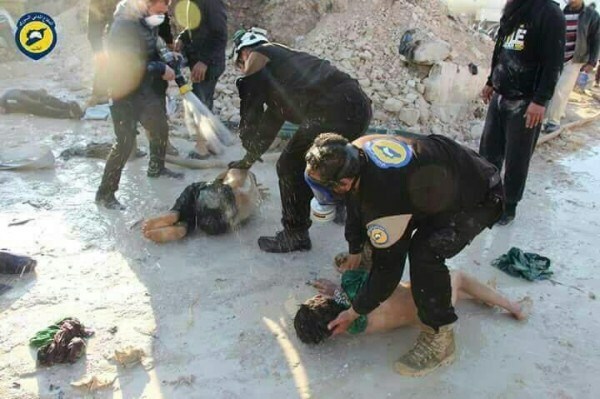 Bare-handed White Helmets with inadequate cover render aid to victims of the April 4 sarin attacks. Sarin, a nerve agent, is absorbed through the skin as well as inhalation. Begging the question of what happened to those in the photo. Although it is a step in the right direction, to investigate for the exact circumstances of the latest chemical attack against dozens of innocent civilians, it doesn’t conclude responsibility. What it does suggest is the use of chemicals left over from 2013 – that may or may not have fallen into Rebel or terrorist hands; or the manufacturing of chemicals using the same process. It is damning evidence but it doesn’t “determine its responsibility for this attack,” as Ayrault claims. Syrian president Bashar al-Assad has maintained that the April chemical attack was a complete “fabrication” and claimed the relinquishing of chemical weapons did occur. Russia, Syria’s ally, supports the claim. The MSM have also failed to give adequate coverage of Russia’s insistence for independent investigations by the Organisation for the Prohibition of Chemical Weapons (OPCW) only days before Trump’s military destroyed the site in a 59 Tomahawk missile attack. And that in January 2016, the OCPW had confirmed that Syria’s chemical stockpiles – with the help of the US – had been all destroyed. Let’s not mention western countries blocking the OCPW from investigating the April 4 circumstances. The MSM have also failed to question the pulled article that offered a possible explanation (and leaked email evidence) that the US “backed [a] plan to launch [a] chemical weapon attack on Syria and blame it on Assad’s regime” in 2013. You could read a cached version of it here until that too was pulled. So now you have to rely on the complete scan of the article published both on Global Research and AnonHQ. 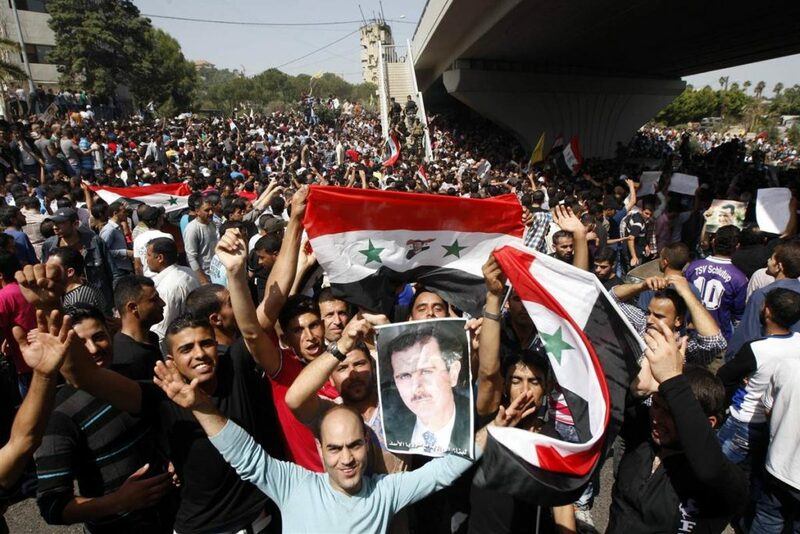 The article begs the question: if Syria could be framed then, why can’t it be framed now? 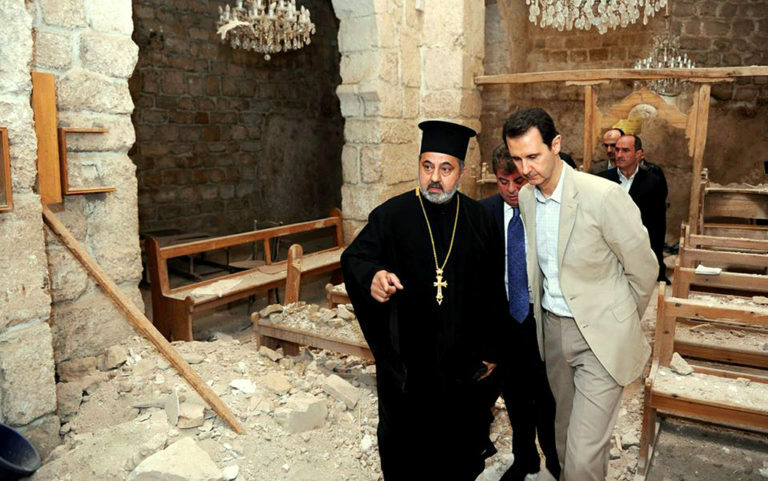 Assad isn’t a good guy; but is any political leader free of blood from their hands? Framing a person for mass murder isn’t the way to achieve world peace. All that we are asking for is solid evidence without the flavoring of western propaganda and MSM bias. This article (MSM Fails to Report French Evidence Linking Syria to Sarin Attack is Circumstantial) is a free and open source. You have permission to republish this article under a Creative Commons license with attribution to author Aral Bereux and DNewsHQ.